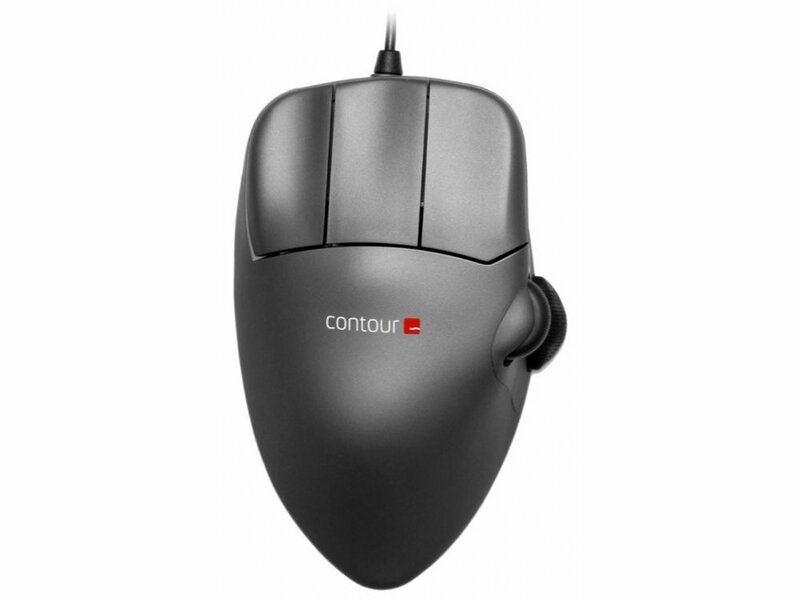 The Contour Mouse Optical in metal grey with scroll wheel gives you a Perfect Fit. This enables the hand to remain open with the fingers extended in a ready position for quick button activation. Buttons are elevated and shaped to reduce excessive load on the fingertips. This gives you the user added Support, Control and Comfort. Allows you to move the mouse with reduced Pinch Force which is known to increase the risk of Carpal Tunnel Syndrome. Reduces pressure on the wrist by keeping it off the desk top. Maintains a straighter wrist alignment and minimizes Lateral Deviation. Balances the hand in a neutral, tilted posture. Prevents static grip by allowing the hand to rock freely. Available in 2 different left hand sizes, measure from the tip of the middle finger to the first wrist crease with your hand held flat.